Profiting from a full month sales, the Mitsubishi Outlander PHEV continues to recover and is now looking to get the #5 Zoe. In the remaining ranking, the C-Max Energi is tied in #7 with the Renault Kangoo ZE, both have 4.422 units, while the #10 Ford Fusion Energi is closing in to the #9 Mitsu I-Miev. Not present in this ranking, but worth noticing, the Volvo V60 Plug-In achieved a brilliant #6 position in September, mostly thanks to their success in the Netherlands. In the Manufacturers ranking, while the top spots remain stable, in the bottom positions we assist to a surprise appearance, with Volvo coming outside of the Top Ten to a surprising #8, surpassing BYD, Smart and Chery in just one month. 1 - Which model will be #2 in October? 2 - Which model will be #7? 3 - Can Toyota hold on to #3? 4 - How will Mitsubishi behave? 5 - Can Volvo repeat the #8 of September? After leading for a few months the EV ranking in the US, the Tesla Model S is now making waves across the Atlantic, where for the first time ever an EV was #1 in the general ranking in Norway. But it wasn't just in Norway that Tesla was #1, it also won the best selling EV crown in Switzerland, Denmark and Belgium, as well as #2 and best selling BEV in both Canada and Netherlands. The US market continues on a high note with a close fight for Number One between the Chevy Volt and the Nissan Leaf, but the real news are Norway and the Netherlands, in the first case, besides the aforementioned Model S achievement, the global EV market also beat the monthly sales record, with 1.040 units sold, with the September EV share registering an out-of-this-world 9% share! As for the Dutch Market, it's also on fire, breaking for the second time on a row the monthly sales record, now scoring 1.340 units, a formidable performance that pulled the EV share to 1,93%, double the share it had a year ago. Besides these two hot markets, other two EV shares are also growing, in a moderate rate, like France (0,82% vs 0,66% in '12) and the USA (0,57% vs 0,39%), while the others are marginally better than last year. After a five month hiatus, the Mitsu Outlander Plug-in recovered the monthly #1 spot in Japan, and is now looking to bring back the YTD leadership from the Nissan Leaf. A surprising fact this month is that the Renault EV with more #1's crowns is...The Fluence ZE! Yes, despite selling just a few dozens, in September the french sedan achieved the Number One spot in Spain and Hong Kong, this last one is now a Renault stronghold, with the Fluence having 56% share there. With Renault-Samsung readying the production of the SM3 ZE in South Korea, the dodgy electric sedan might benefit from a second life in Asia. Until the end of the year, another two countries will join the electric bandwagon: South Africa and South Korea, the first through the arrival of the Nissan Leaf, the second with two domestic EV's: The Samsung SM3 ZE and the Chevrolet Spark EV. With frequent podium changes, one might think that the US market would be the most fragmented market, only it's not, Switzerland holds that title, as a result of 6 different monthly leaders, the Citröen C-Zero (Jan), Mitsu I-Miev (Feb), Nissan Leaf (Mar), Renault Twizy (Apr & May), Renault Zoe (Jun & Jul) and Tesla Model S (Aug & Sep), the result is that the YTD #1 (Zoe) and #2 (Twizy) are separated by just one unit and both have just 21% share, 4% less than the Chevy Volt in the US. But that's not all, the #3 (Leaf) is not that far off, with 17% share and even the fourth, the Model S (13% share) has a shot of reaching #1 this year, so we're talking of 4 pretenders at the best selling crown with just three months to go. Interesting, eh? 3 - Who will be #1 in the Netherlands? 4 - Will the Zoe recover the #1 spot in France? 5 - Will the BMW i3 reach #1 in Germany? 6 - Where will the Tesla Model S perform better? With several waiting lists around the world, mounting to several thousand reservations, Tesla has its hands full to satisfy all of them, right now Europe's waiting lists are being delivered, to be followed early next year by Asia and left-hand drive countries, so only in the next Spring on we'll see if Tesla sales isn't just a early adopter thing and can keep growing without the need of reservation lists. Volvo also had a unexpected success with the Volvo V60 Plug-In, especially in the Netherlands, where in a certain moment it had a thousands waiting list, now being delivered, and now responsible for a surprising #1 spot there. 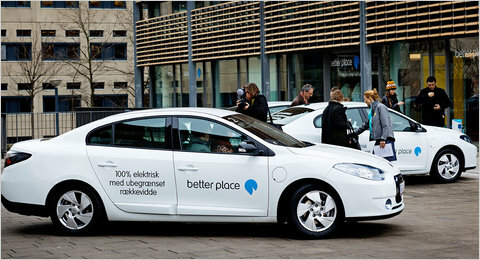 A promising start for the swedish automaker. Speaking of Netherlands, Mitsubishi has allegedly a 8.000 waiting list in the Low Countries and more than 10.000 reservations of the Outlander Plug-In in Europe, an already enormous number that still has the thousands of japanese reservations left out. Mitsu will need several months to satisfy all these reservations, so it's no surprise that the US landing of the japanese SUV was postponed several months, they just don't produce enough cars to satisfy all this demand. BMW - When the bavarian automaker announced the "i" sub-brand, with the advanced carbon fibre platform and two dedicated plug-ins, i feared they would be sold with speculative prices to a selected few, but to my surprise, the prices aren't that high (For a premium plug-in, at least), with the i3 starting at some 40.000$ and the i8 at 135.000$. Too bad that the i3 side profile was ruined...But still, BMW conservative sales goals should be surpassed and next year some 15.000 "i's" might be zooming down the streets, so their profitability should be a slam dunk. Finally a great month for plug-ins in Europe, with 5.362 units sold, September '13 now stands as the highmark to beat in the future, this brilliant result can is due mostly to two models now selling like hotcakes: The Tesla Model S and the Volvo V60 Plug-In, two high-end cars that sold more in September than most of its competition, that cost half their price. ...Or does it? Looking at the rest of the September podium, one might doubt that, because in second came the 70.000$-plus Tesla Model S, with 1.012 new registrations, allowing it to climb six positions to #9 YTD, and the third place went for the 50.000$ Volvo V60 Plug-In (Sold 797 units, most of them in Holland), climbing another position to #5 in the YTD chart. In fourth came the rock-solid Renault Kangoo ZE with 608 units (Best result of the year) and in fifth we finally see the Renault Zoe, with 579 vehicles sold, a poor result if we remember that in June it had sold 1.358 units and dominated both monthly and YTD charts. Even its stablemate Kangoo ZE sold more this month than the french supermini, so Renault now must be thinking on ways to spur sales (*cough* Discounts *cough*) of its problem-child. Further down the ranking, we see the Opel Ampera recover one position to #7, still way behind last year performance (A year ago it was #2 with 3.491 sales), and in #15 it's now the Renault Fluence ZE, just one unit ahead (304 vs 303) of the #16 Peugeot iOn. There were 103 plug-ins sold last month in Spain, with some surprises appearing in the ranking, the monthly leader was the Renault Fluence ZE, selling 35 units in one month, a personal record and almost certainly a unique phenomenon due to some sales push (Fleet deal? Rock-bottom discounts?) by Renault. Behind the french sedan, the silver medal went for the Nissan Leaf (20 units), more and more leader YTD. The Renault Zoe won the bronze medal (18 units), closing in to the YTD third place of its stablemate Renault Twizy (11 units). Further down the ranking, we welcome a new plug-in model, nonetheless than the Porsche Panamera S E-Hybrid, selling their first five units, a strong start for a car that costs over 100.000$. After a terrible month of August (Just 52 units sold), italian EV sales bounced back to a more usual 96 units, with the Renault Twizy presenting the best sales result since last May, with 38 units, breaking two months of monthly leadership of the Nissan Leaf, which came in second with 33 units. The last place in the podium went for the Renault Zoe, which sold 13 units, keeping the #4 Smart Fortwo ED at a safe distance. Total plug-in sales in Austria were 86, making September the third best month of the year and pulling the EV share to 0,21%, still far from the 0,30% hallmark of last year. A rare event these days, the Renault Zoe topped the monthly ranking with 24 units, but the french model is also in a downward spiral here, being September the third month in a row of shrinking sales. There were another three models to score two digit sales, the Nissan Leaf sold 17 units, the Model S from Tesla sold 14 (It's now #6 YTD) and the Renault Twizy registered 10 vehicles. Finally we assist the landing of the Porsche Panamera S E-Hybrid, with the first registration of a Porsche with a plug. With 136 units in September, the swiss market registered the second best sales month of the year, pulling the EV share to 0,39%, once again Tesla's Model S was the main source of those sales (66 of them), winning easily another monthly #1 and climbing to #4 in the YTD chart. In other news, the Renault Zoe, selling 24 units, cemented the YTD #1 position and might be safe from attacks from Tesla. As for the other members of the podium (Especially the #3 Leaf), they are already feeling the pressure of Tesla and have to step up sales if they don't want to be overturned by the new electric-car-posterchild. At 440 units sold in September, this was the third monthly drop for the german market, this can be caused by consumers waiting for the upcoming releases from VW and BMW. Speaking of BMW, the i3 is still in demonstration-units-mode, selling a paltry 51 units this month, leaving it still in an discrete #7 on the YTD chart. Up front, the Smart Fortwo ED has a bang up month (142 units) and resists the attacks of younger players, while behind it the podium fight is tight between the Nissan Leaf, up to second place with 721 units, the Renault Twizy (Dropping to third), with 717 units and the #4 Renault Zoe at 708 cars sold. Tesla was #6 in September (42 units) ant it's still #9 YTD, a demonstration that this will be one of the markets for the american brand to break through. On the manufacturers ranking, Renault is number one with 34% share, followed by Smart (28%) and Nissan (17%). That's right, Tesla sold 42 units right in its first full sales month, winning the monthly #1 EV spot in Denmark, a larger achievement if you consider that the danish market as a whole is known for its preference for small cars and the Model S is anything but small. This fact made the american car soar to #3 on the YTD chart and with just 11 separating it from the #2 Renault Zoe, it won't be long for Tesla to get there too. Looking at the larger picture, the EV market scored 84 units, a new record month, with sales concentrated on three models (Model S, Leaf and Zoe), pulling the EV share to 0,23%, still below from the 0,29% hallmark of '12, but it's getting there and with the predictable strong sales of Tesla and the upcoming BMW i3, this will be another market where EV's will end the year on a strong note.